The forex trading technique below is simply...awesome. 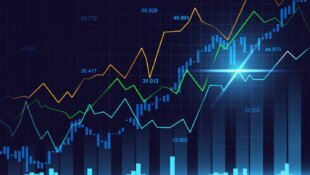 If you are able to look at a chart and identify when the market is trending, then you can make a bundle using the below technique. If I had to pick one single trading technique in the world, this would be the one! 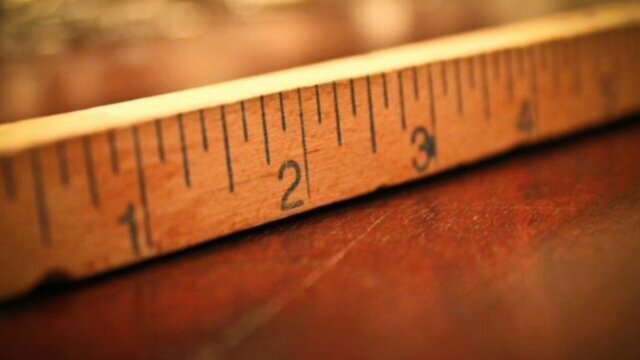 Make sure to use proper position sizing and money management with this one and you will encounter nothing but success! 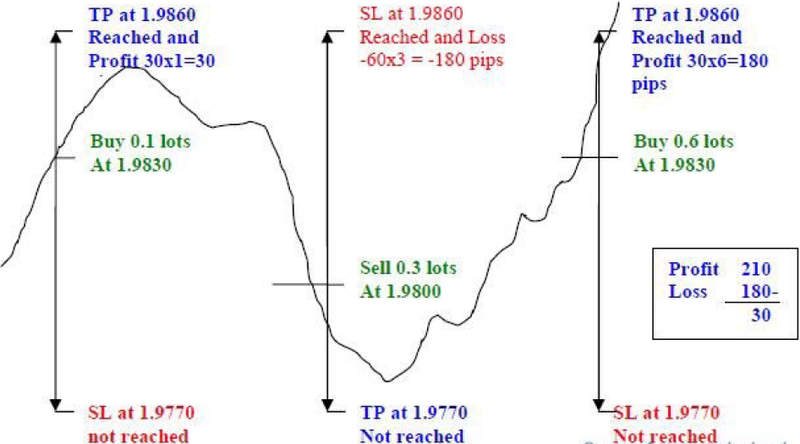 If the TP at 1.9860 is not reached, and the price goes down and reaches the SL or TP at 1.9770. Then, you have a profit of 30 pips because the Sell Stop had become an active Sell Order (Short) earlier in the move at 0.3 lots. But if the TP and SL at 1.9770 are not reached and the price goes up again, you have to put a Buy Stop order in place at 1.9830 in anticipation of a rise. 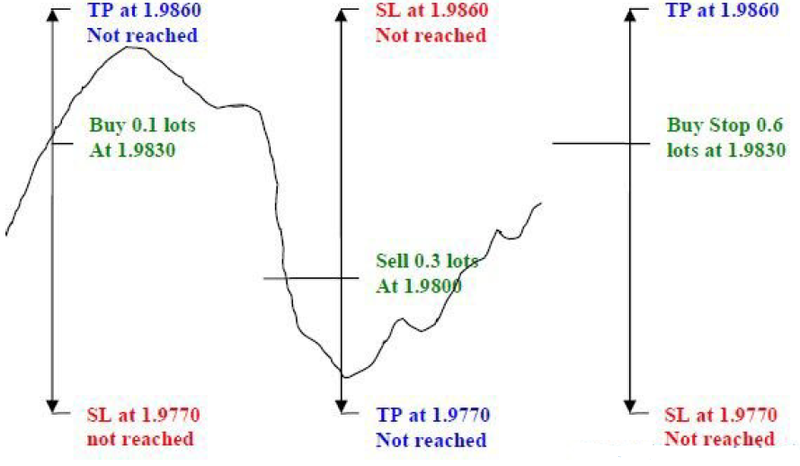 At the time the Sell Stop was reached and became an active order to Sell 0.3 lots (picture above), you have to immediately place a Buy Stop order for 0.6 lots at 1.9830 (picture below). 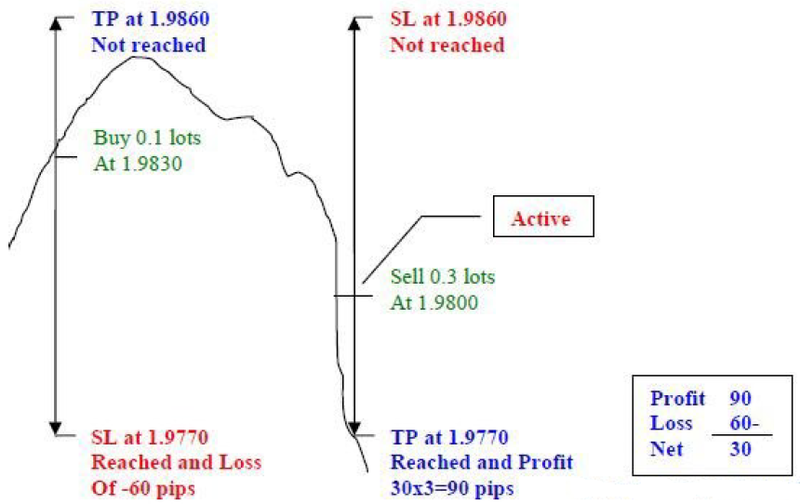 If the price goes up and hits the SL or TP at 1.9860, then you also have a profit of 30 pips! If the price goes down again without reaching any TP, then continue anticipating with a Sell Stop order for 1.2 lots, then a Buy Stop order for 2.4 lots, etc... Continue this sequence until you make a profit. Lots: 0.1, 0.3, 0.6, 1.2, 2.4, 4.8, 9.6, 19.2 and 38.4. 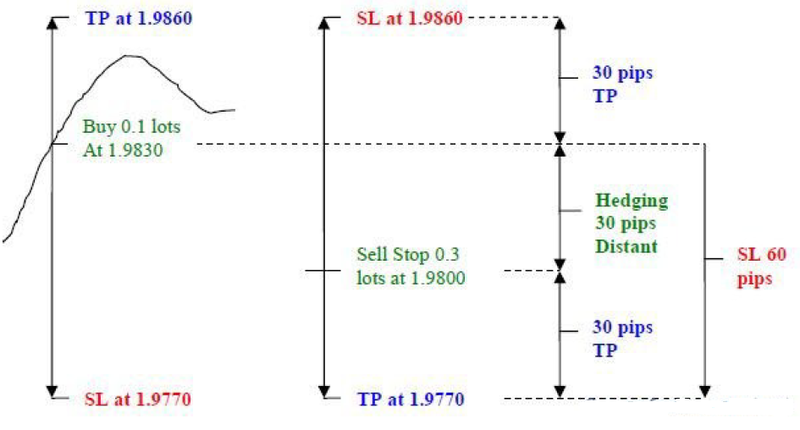 In this example, I've used a 30/60/30 configuration (TP 30 pips, SL 60 pips and Hedging Distance of 30 pips). You can also try 15/30/15, 60/120/60. Also, you can try to maximize profits by testing 30/60/15 or 60/120/30 configurations. Asian Breakout using Line-1 and Line-4. You can actually use any pip-range you want. You just need to know during which time period the market has enough moves to generate the pips you need. Another important thing is to not end up with too many open buy and sell positions as you may eventually run out of margin. At this point, I hope that you can see the incredible possibilities that this strategy provides. 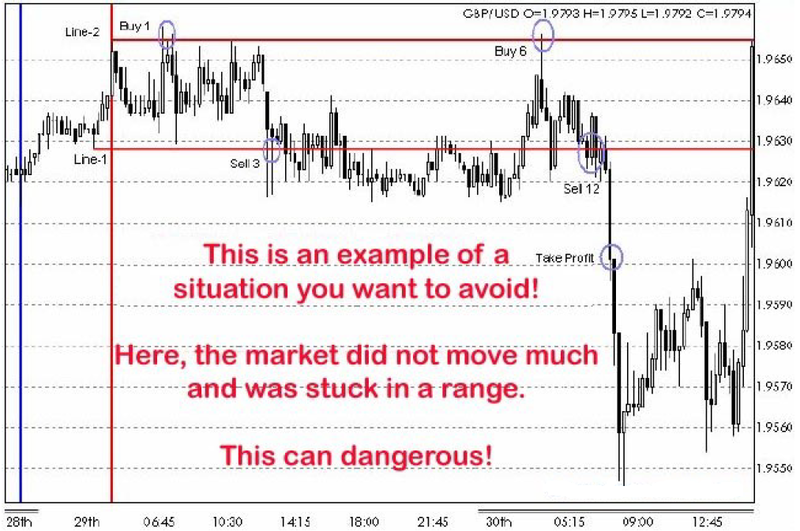 To sum things up, you enter a trade in the direction of the prevailing intraday trend. I would suggest using the H4 and H1 charts to determine in which direction the market is going. Furthermore, I would suggest using the M15 or M30 as your trading and timing window. In doing this you will usually hit your initial TP target 90% of the time and your hedge position will never need to be activated. As mentioned in point 7 above, keeping spreads low is a must when using hedging strategies. But, also, learning how to take advantage of momentum and volatility is even more important. To achieve this, I would suggest looking at some of the most volatile currency pairs such as the GBP/JPY, EUR/JPY, AUD/JPY, GBP/CHF, EUR/CHF, GBP/USD, etc. These pairs will give up 30 to 40 pips in a heartbeat. So, the lower the spread you pay for these pairs, the better. 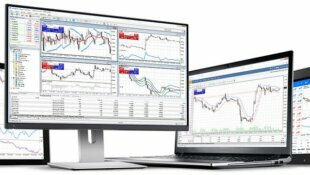 I would suggest looking for a forex broker with the lowest spreads on these pairs and that allows hedging (buying and selling a currency pair at the same time). I personally use Plus500 as their EUR/USD spread is usually between .8 - 1.6 pips during peak forex trading hours. 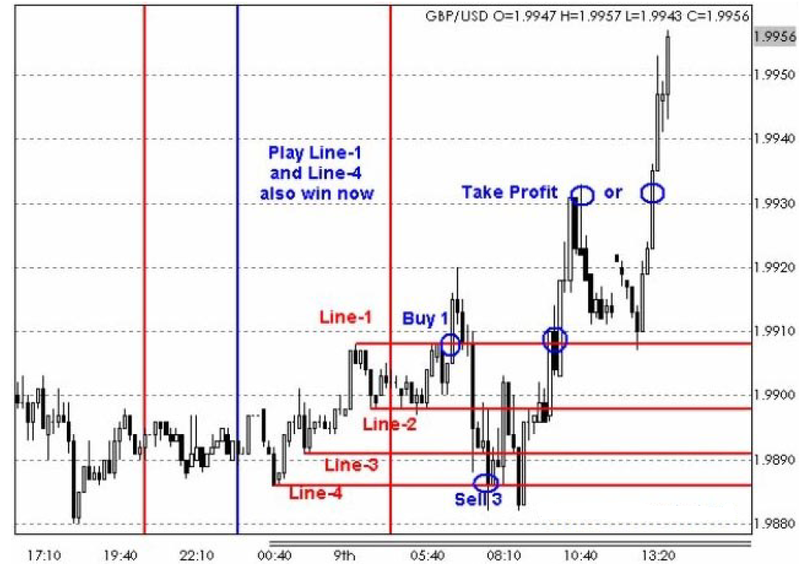 As you can see from the picture above, trading Line 1 and Line 2 (10 pip price difference) will also result in a winning trade. 1. Just choose 2 price levels (High, Low, you decide) and a specific time (you decide), if you have a High breakout then buy, if you have a Low breakout then sell. 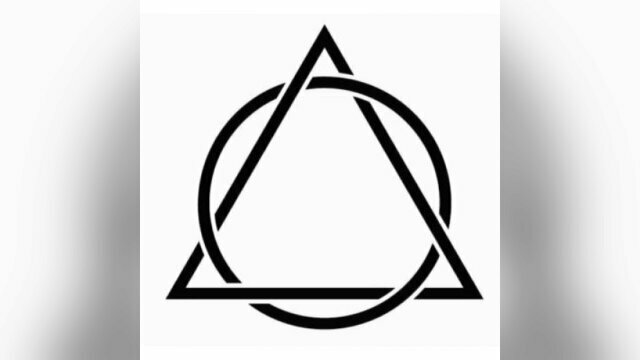 TP=SL= (H-L). 2. Every time you experience a loss, increase the buy/sell lots in this numerical sequence: 1, 3, 6, 12, etc... If you choose your time and price range well, you will not need to activate this many trades. In fact, you will very rarely need to open more than one or two positions if you properly time the market. 3. Learning to take advantage of both volatility and momentum is key in learning to use this strategy. As I mentioned earlier, timing and the time period can be crucial for your success. Even though this strategy can be traded during any market session or time of day, it needs to be emphasised that when you do trade during off-hours or during lower volatility sessions, such as the Asian session, it will take longer to achieve your profit objective. Thus, it's always best to trade during the overlapping hours of the European/London sessions and/or the New York session. In addition, you should keep in mind that the strongest momentum usually occurs during the opening of any market session. Therefore, it's during these specific times that you will trade with a much higher probability of success. TIMING + MOMENTUM = SUCCESS! March 29, 2007 was a typical example of a dangerous day because the markets did not move much. The best way to overcome such a situation is to be able to recognize current market conditions and know when to stay out of them. Ranging, consolidating, and small oscillation markets will kill anyone if not recognized and traded properly (you should, in fact, avoid them like the plague!). However, having a good trading method to help you identify good setups will help you eliminate the need for multiple trade entries. 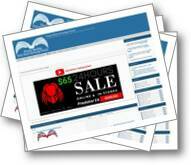 In a way, this strategy will become a sort of insurance policy guaranteeing you a steady stream of profits. If you learn to enter the markets at the right time (I sometimes wait for price to pullback or throwback a bit before jumping in), you will find that you will usually hit your initial TP target 90% of the time and price will not get anywhere close to your hedge order or your initial stop loss. 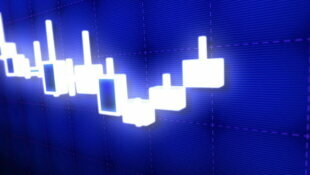 In this case, the hedging strategy replaces the need for a normal stop loss and acts more as a guarantee of profits. 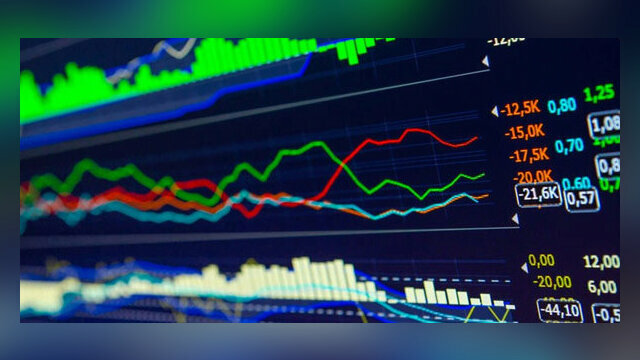 The above examples are illustrated using mini-lots; however, as you become more comfortable and proficient with this strategy, you will gradually work your way up to trading standard lots. The consistency with which you will be making 30 pips any time you want will lead to the confidence necessary to trade multiple standard lots. Once you get to this level of proficiency, you profit potential is unlimited. 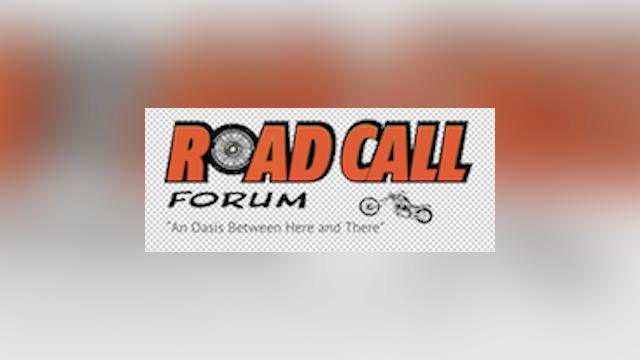 Whether you realize it or not, this strategy will enable you to trade with virtually no risk. This strategy is a bit different but is quite interesting as you still profit when you hit a stop loss! Using the below picture as an example, you would purchase 1 lot (indicated with B1) with the idea that it will rise. But you will also sell 1 lot (at S1, which is the same price as your buy price) at the same time, in case the price goes down. Then follow the diagram. When a martingale stops, the other one takes over. 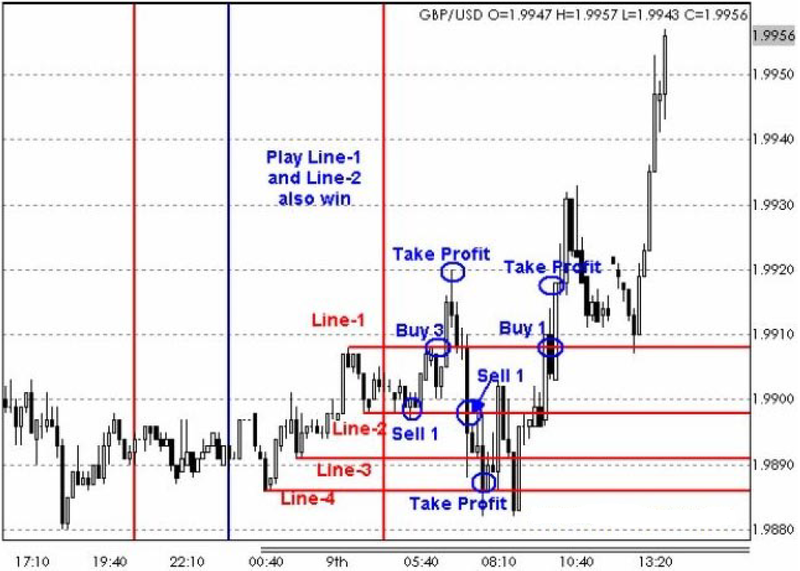 This strategy can earn pips during periods where price is ranging. As your winning transactions only require an additional lot to be put into play, it doesn't really make much of a difference in relation to the other martingale. 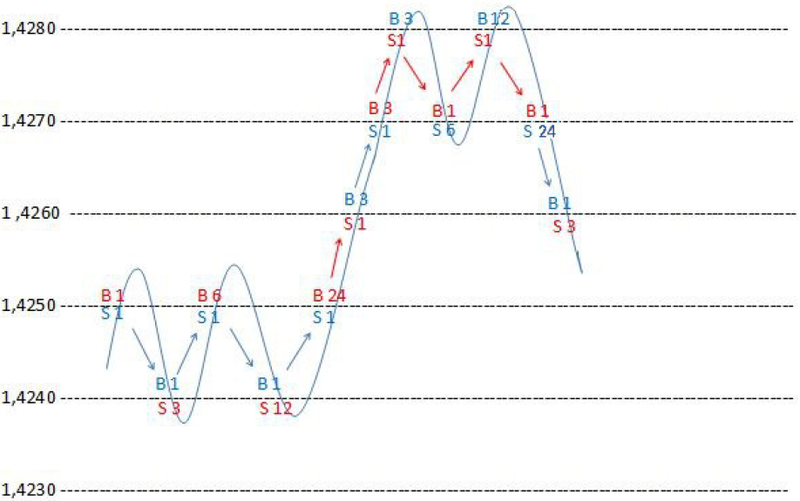 There is always a risk for the first martingale during ranging periods (flat consolidation periods), but this risk is mitigated by the pips you are earning from the second martingale! If ever your stop loss is hit and the new order has not been triggered because price has reversed, place this new order on the opposite side, where price is now headed towards (in this situation you will have both a buy stop and sell stop order set up for the same lot size). I recommend that if you have a $10,000 (or €) account, your first position be .1 lots. If you have a $20,000 account, I would recommend trading two different pairs (ex: if you go long on EURUSD, also go long on USDJPY, that way you're sure to see half of your open positions hit a take profit, and this will therefore divide your overall risk in half). I would go so far as to trade 3 different pairs if you're trading a $30,000 account, and only increase the weight of your first positions as you have more capital to trade with. I like this strategy because your overall position sizes (and therefore risk) end up being lower:- Original sure-fire strategy position sizes: .1, .3, .6, 1.2, etc.- This strategy's position sizes: .1, .2, .4, .8, etc.